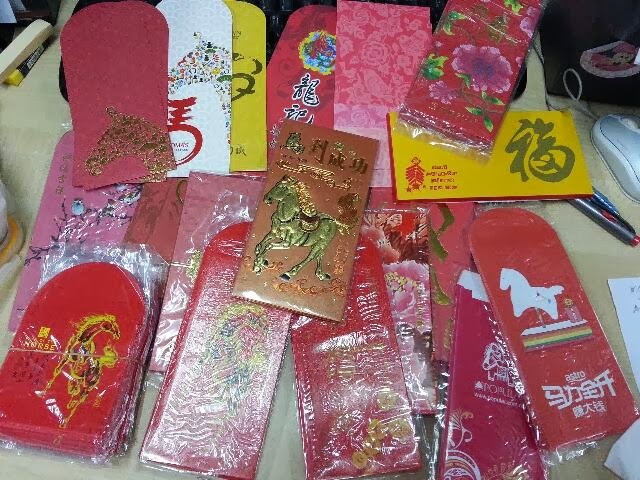 These are some of the Chinese Lunar Year angpow packets I have collected so far this year. Most of them featuring the animal sign of Horse for it is the year of wooden horse in 2014. 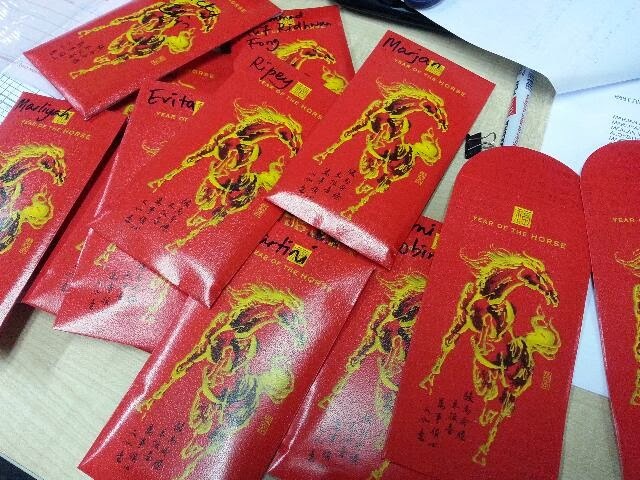 My colleague is the one who help to go round various banks to ask for new angpow packets whenever he is out to do banking. 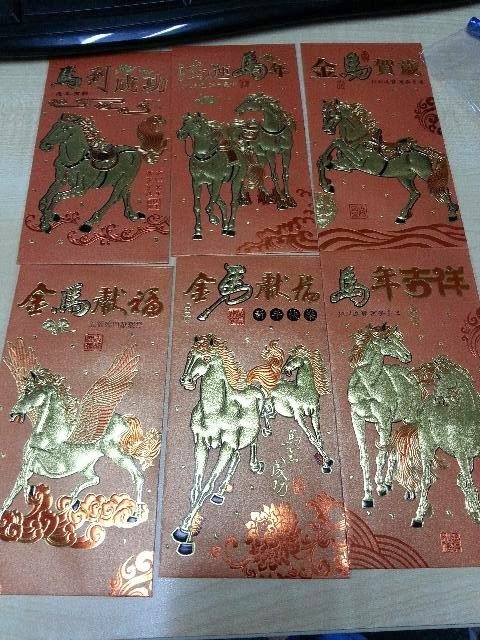 Among all that I have collected, I particularly like this set of golden horses angpow packets from the local supermarket, CKS. I use angpow packets throughout the year...you might want to know why..??? I intentionally keep many packets in my office drawers, I stuff the salaries or wages in there for my fellow colleagues every month.